Today we are proud to announce the official distribution of Rose Gun Days and Higanbana no Saku Yoru ni at MangaGamer! Please note this is similar to Umineko in that it is an official route in which to obtain the game in order to use the existing English patch. 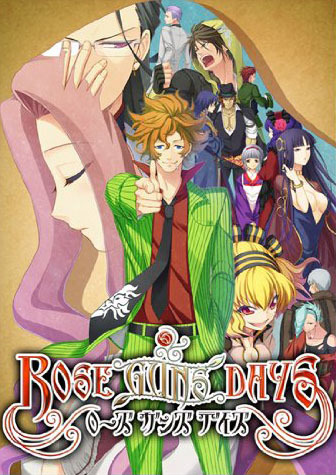 Rose Gun Days is a four part series produced by 07th Expansion and written by Ryukishi07. Set in post World War II Japan, the story follows Leo Shishigami in an action packed adventure as he encounters Rose Haibara, madam of the club Primavera in Tokyo. Exploring the criminal underworld and protecting the Madam Rose as a bodyguard, Leo Shishigami and company play out a tale that is much lighter in tone than previous Ryukishi07 works. 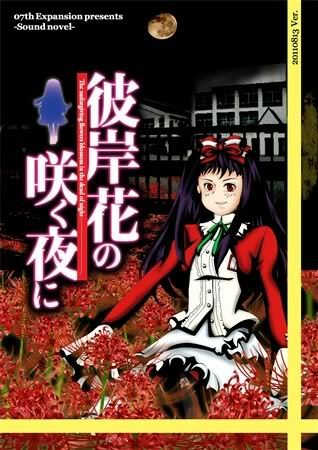 Higanbana no Saku Yoru ni is a darker tale, set within the confines of a school where Marie and Higanbana play out a series of short stories spanning abuse, bullying, and mystery. The stories are divided into the seven different youkai that inhabit the school, with Higanbana being the third ranked to haunt the school and each story delves into the perspective of the bully or the victim as the students live out the consequences of their actions. In other news, we’re also proud to announce that Go Go Nippon will finally be available for purchase on steam on February 21st! Tagged 07th Expansion, Go Go Nippon, Higurashi, OVERDRIVE. Wow, nice to see these on Mangagamer. But Rose Gun Days hasn’t even been translated completely. Ooo, great! I’ll have to grab all of these when I’ve got some time for them. Love 07th Expansion games! I wasn’t expecting Rose Guns Days to be added to the catalogue so soon since the english patch doesn’t cover the entire game. Regarding Higanbana, I was already expecting something like this. But still, it’ll be great if these titles sell well. There’s no mark for voices on Go Go Nippon because the game does not feature any voices yet. “Yet”? Does that imply that it might get voices in the future? I just wanted to know if both games use the usual Soft Denchi DRM? If Umineko and Higurashi are anything to go by, then no, they shouldn’t have DRM. Fanmade or not, the translation’s site states that they have permission from the makers of the original Japanese version, so this is an official translation. I’d like to clarify that these releases came about because we — the fan translation groups — felt that digital versions of these VNs would be much more convenient to purchase for those living outside of Japan than the already-existing disc versions. MangaGamer very courteously obtained distribution rights to these games for us, and made them available to download. They didn’t have to go to the trouble to do that, but we’re extremely happy that they did, and we hope 07th Expansion’s fans are happy about this arrangement, too. Of course, official releases would have been ideal, but due to the nature of 07th Expansion’s works, obtaining the rights to all the content is far from easy. I think a lot of people would be disappointed if an official release was put out where we had to replace all the music. I think what we did is a much better solution. So no, MangaGamer are not being lazy. They went out of their way to release these games for us, and I encourage everyone (especially if you’ve enjoyed Higurashi or Umineko) to check out these brilliant stories.